As you know, I’m currently working on my redoing my home office and am playing around with different ideas regarding the final design. I am really concentrating on fashion meets function – in every sense of those words. So, it makes complete sense to me to have a corner dedicated to fitness. After all, I am getting ready to run the Disney Half Marathon this November. 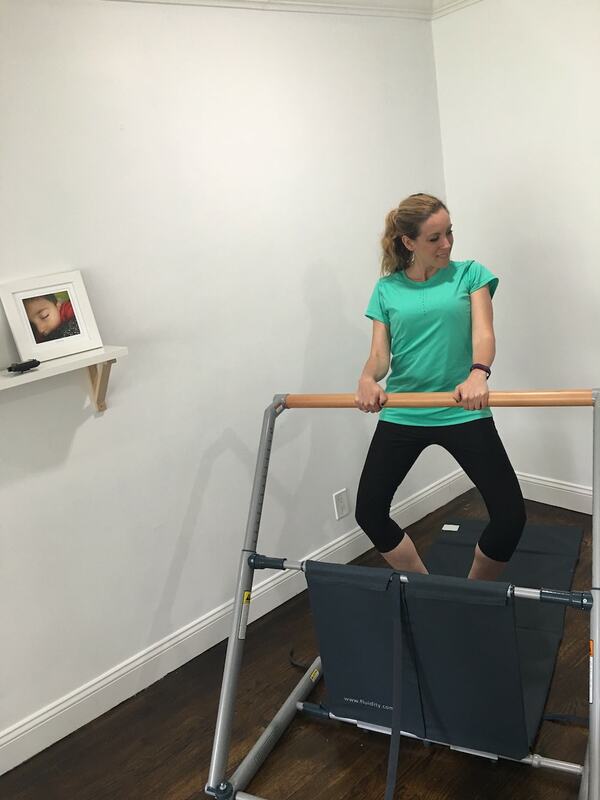 When I’m not running, I’m at the gym taking a Barre class. It’s just what I LOVE to do. However, I just heard about Fluidity and wanted to give it a try. 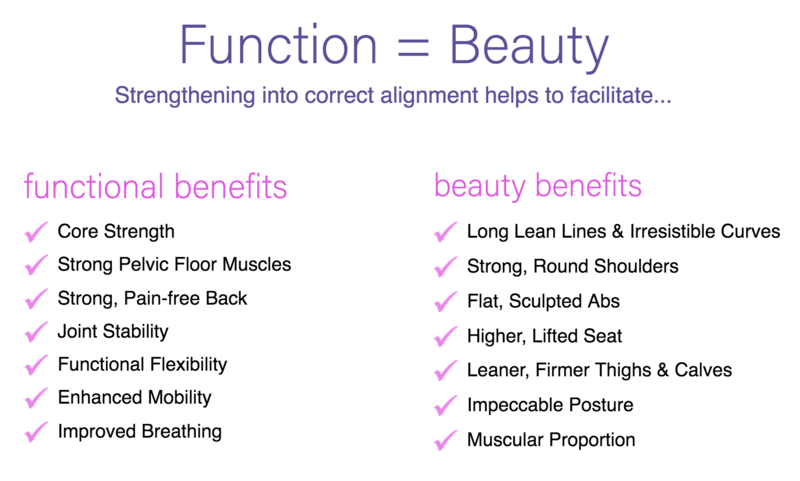 Fluidity is an at-home barre system that works for every shape and size because the unit can be adjusted to individual height for ideal body alignment. If you know anything about Barre Classes, you have to really concentrate on FORM. 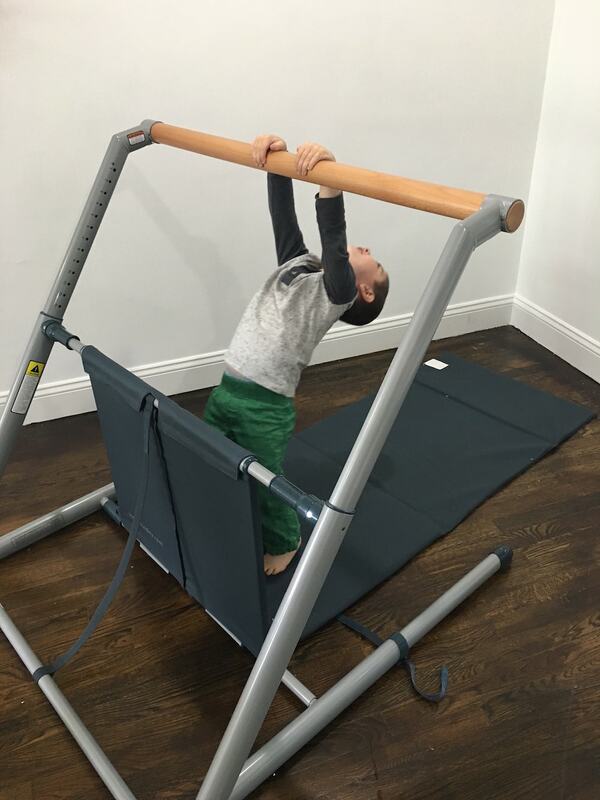 You are making the tiniest of movements throughout the class, so every muscle counts. The result? Perfect posture, a long & lean appearance, and sculpted abs – just to name a few. For me – it helps work on some muscles that I never use during my typical day to day agendas and it truly does give me time to just zone out and concentrate on myself. The home unit is portable, easy to travel with, making it easy to take on any road trip or vacation. It folds up and can be easily stored. Don’t you just love that?! 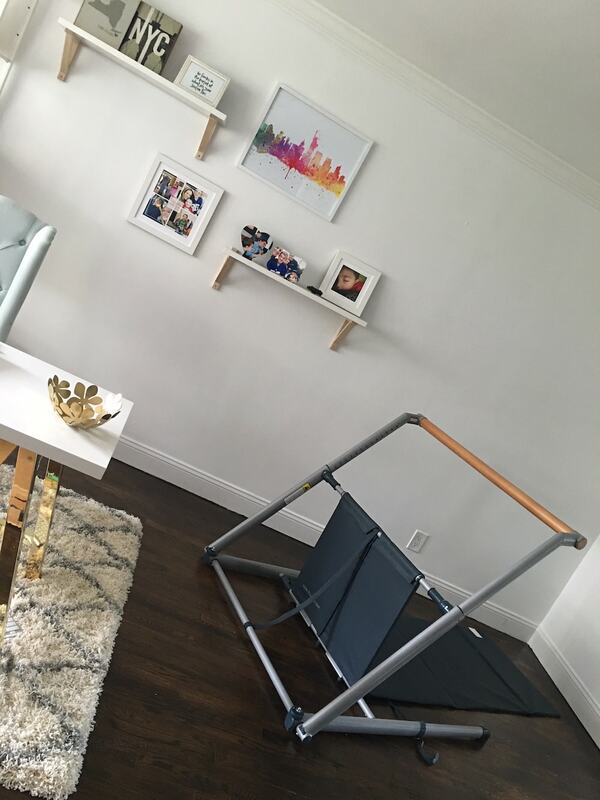 You don’t have to keep this system on display if you don’t want to — just fold it up and place it under your bed or in a closet if you have the space. Personally, I just LOVE the feel of having this system on display in my office. It reminds me to get active which I so desperately need. 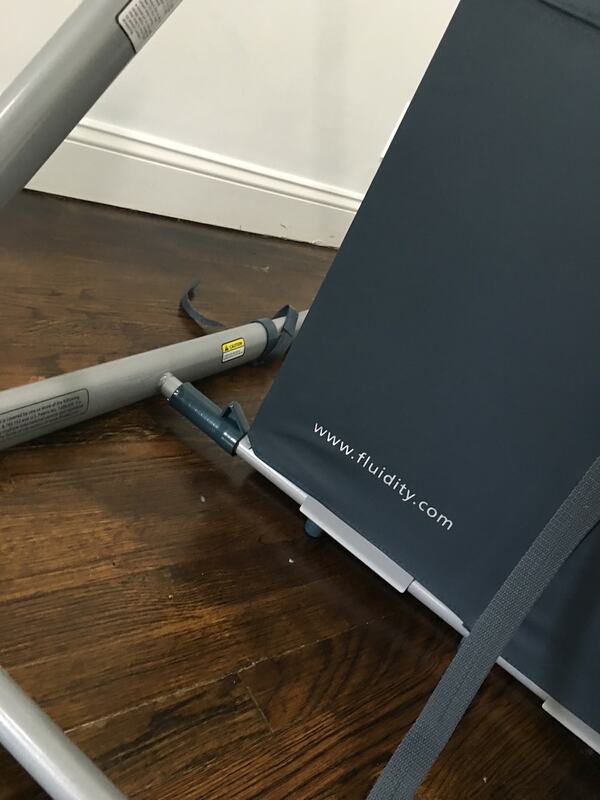 Want to take an actual Fluidity class? You can if you live in places like NY, LA or Chicago!! 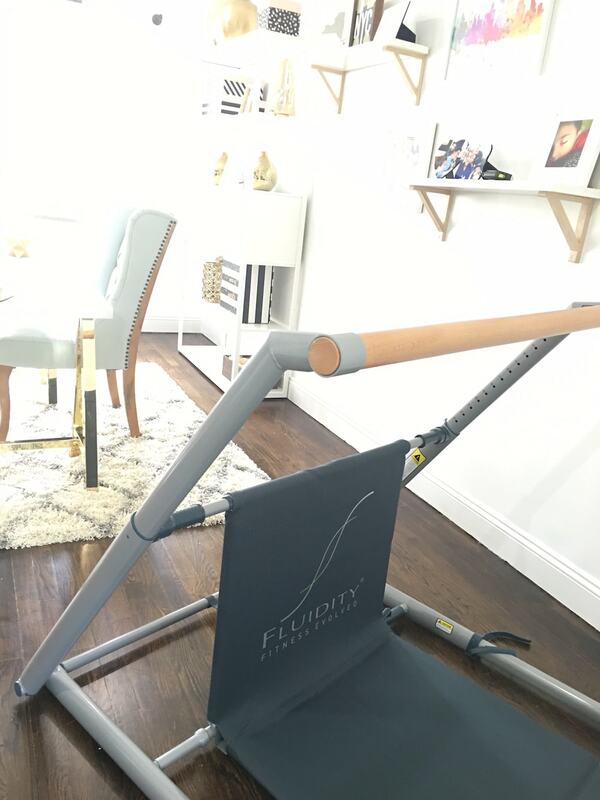 Currently, Fluidity barre classes are offered at DavidBartonGym in New York, and Los Angeles, NY Health & Racquet, the JCC the Galter Life Center in Chicago just to name a few. You can also do the workout in the comfort of your own home — I have several of the DVDs that are available from the website. They actually show the EXACT classes that are done in each of the cities. Super cool! 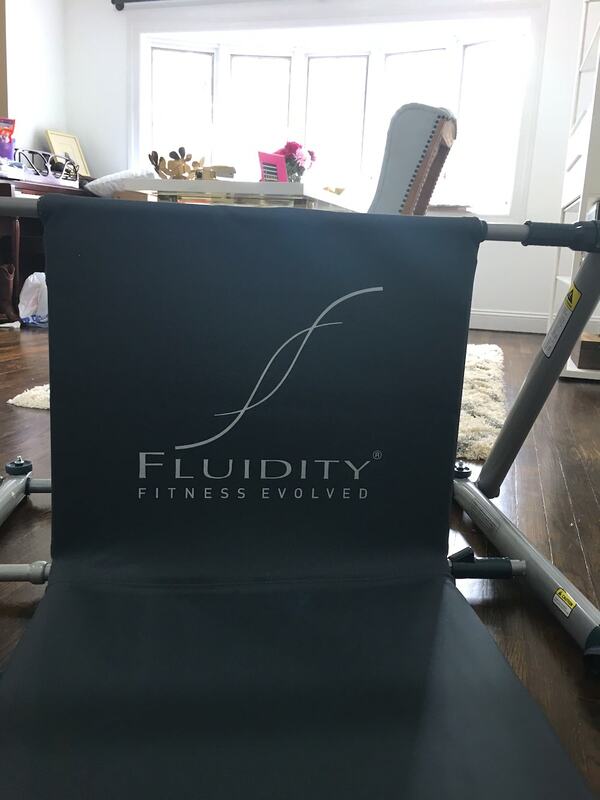 Are you ready to give the Fluidity system a try? 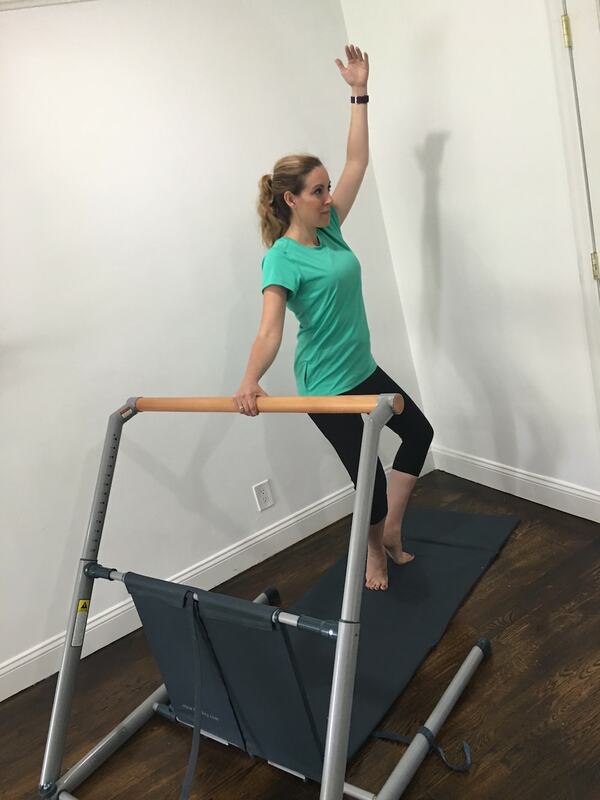 If you haven’t try Barre yet, you don’t KNOW what you are missing!! TRULY! The company is having an incredible sale right now — check out everything you can get for 40% off! Click here to order this amazing package. (Caleb likes it too) LOL! That looks really cool. It looks very high quality, and I think it would be great for anyone. That is so cool. I had no idea they made barres like that for the home. I wouldn’t mind trying it at home. This looks super cool. I exercise at home and this would be a great machine to have. This looks so cool. It reminds me of tap and ballet class growing up. I haven’t tried barre classes yet. I like the thought of this system because you can do it in your own home when it is convenient for you. As a blogger and new mom I NEED something like this! I would love to follow online a virtual barre class while being able to avoid daycare and running out to the gym. This looks like a wonderful workout. I have always wanted to try barre classes and think this would be a really cool way to try it out!